Egypt Station is the 18th solo studio album by Paul McCartney (25th if you include his work with Wings) and at 76 years old, it's great to have McCartney releasing new, original, work. His few most recent albums, New (2013), Memory Almost Full (2007), and Chaos and Creation in the Backyard (2005) saw McCartney in somewhat of a resurgence of quality, excitement, and inventiveness in the studio -- a resurgence that was hinted upon with 1997's Flaming Pie and then completely abolished in 2001's Driving Rain -- but Egypt Station proves to be a step backwards on many levels. Much has been said about McCartney's aging voice. Decades of performance, lack of proper training, and a stubborn refusal to engage in even the most basic of instrument care practices (he boasts having never drank water on stage) have caught up to him and his voice sounds as a 76 year old's voice should sound: weak, crackly, and lacking the resonance of youth. 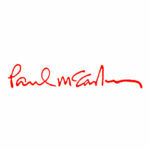 The quality of vocals, though, is not the issue on Egypt Station as many of the songs are written with Macca's "new voice" in mind. Rather, it is the laziness that seems to stem from McCartney's inability to make peace with his weakness. Many phrases trail off at the end, words are swallowed, and certain affectations feel more like a McCartney impression than a heartfelt performance. The sound of his voice is not a problem but how he chooses to compensate for that voice is almost infuriatingly distracting. Ultimately, Egypt Station suffers most from horribly under-worked lyrics and fairly forgettable melodies. While it doesn't rank among McCartney's weakest albums, it also does not rank among his strongest and does not continue the solid output fans have enjoyed for much of the last 15 years. Below is a track by track analysis of Egypt Station and a final review. The album has just enough pleasant moments and highlights to make it a worthy listen but, overall, probably sits at Driving Rain quality. This short soundscape helps establish the "station" theme of the album. It's inconsequential and neither adds nor detracts from the album. Essentially the album opener, this slow piano based tune opens with a solo synth part that immediately ages the track but once it moves into a real piano it becomes quintessential McCartney. The lyrics on this one aren't great but they're not distracting from a pleasant melody. No song that is solely built on a four chord pattern should ever last more than four minutes and this song is no exception to that rule. With a riff and lyric that is, at best, sophomoric the highlight of the track comes at the 2:00 mark when it breaks down into a Wingsesque horn riff light years more interesting than the core of the song. Typical McCartney acoustic music reminiscent of Little Willow from Flaming Pie. The aforementioned swallowing of words and dropping phrases is very evident on this track. The lyrics are not strong enough to warrant a reprise and the song should probably be closer to 2:30 than its released 3:34 timing. This track opens with some feedback play for 30 seconds before launching into a pedestrian groove and some of the most juvenile lyrics on the album. This anti-bullying song tries very hard to speak to youngsters and just doesn't work on an adult album. "Did you ever get hurt by the words people say/and the things that they do when they're picking on you?" Obviously, the intent of this phrasing can be figured out pretty easily but it is a lazy lyric that weakens the intent of the song. That said, this is more analysis than this song deserves. It's a boring melody and a weak lyric over one of the least inspired band tracks of McCartney's recent output. No song suffers from poor lyrics as much as Fuh You. A catchy melody, fantastic production, anthemic chorus, and instant likability are squandered by a lyric that couldn't have taken longer than 10 minutes to write. Confidante has echoes of Flaming Pie but there's really not a full song here. It is the definition of filler with the highlight of the track coming during the instrumental break half way through. Musically, this has a lot of similarities to Wonderful Christmas Time, although light years better. There are some nice background vocals and the overall arrangement of the track is a high point of this album. This slow piano driven track is pleasant but forgettable. Despite being the shortest song on the album, it feels much longer. This song is the first track to grab the listener with a great hook of a chord progression but then you realize it's just Isn't It A Pity (George Harrison) and you wish that this song lived up to that progression. Once the chorus hits, it's just a generic studio band track that drags on for twice as long as it should. This track is virtually unlistenable. The melody feels as if it's being forced on this groove and just doesn't flow at all. Finally a Paul McCartney song. He's recycling hooks from other songs but this is, by far, the most McCartney song on the album with a lovely melody, catchy changes, gorgeous background vocals, and a pleasing arrangement. A definite highlight coming in near the end of the album. The first 25 seconds of this track are among the most interesting on the entire album but beyond that, not much happens on this one. It is nice to hear some effects on McCartney's vocals which cover the diminishing clarity in his voice. Also, enough with titles like this, Paul. If you have to explain it in every interview, it's not as clever as you think it is. Arguably the best song on this album. Great arrangement, pretty melody, a passable lyric, and smothered with hooks. It is a suite in the style of The Pound is Sinking where the original musical theme is brought back at the end of the song. The only drawback is the abrupt shift from Theme A to Theme B where a transition, much like the one used to get back to Theme A, would have been more effective. This track opens with Paul doing a solid Kinks impression but it evolves into a good Wings style rocker before slowing down into Naked, an uptempo waltz, and slowing down further into the 6/8 drag of C-Link which features a pretty solid guitar solo. There are moments of classic McCartney and a few moments that signify an inventiveness that strays from previous efforts but, overall, the music often feels like session players laying down all the tracks in a day or two and the songs lack the hooks that have made McCartney's work so memorable for decades. This album is pleasant as background music but ultimately forgettable and doesn't hold up well to deeper scrutiny. Tony Frye The album had a #1 debut on the Billboard Top 200 this week so what do I know. Of course, having 500 different editions of the album to collect may have inflated those numbers a bit but still, not too bad for a 76 year old rock star.